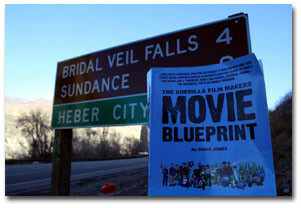 Do you have a copy of a Guerilla Film Makers Handbook? Has it helped you? If you do and it has, I would like to invite you to contribute to this site. We will give you a page on the website where you can share your story. A photo of your book in action.. so that could be in your camera bag, on your desk, in the loo, on set… Maybe with you in the picture too. Second, we need a 75 word, pithy, fun synopsis of your adventure making your film. This will appear alongside your photo on the main page. It will link to a page which can be as long as you want it to be, with pictures of you shoot and ideally, a video embed of your film or trailer. We hope this will form an archive of inspirational Guerilla Film Makers Handbook stories. So if you want to contribute…. Send a photo of your book in action. 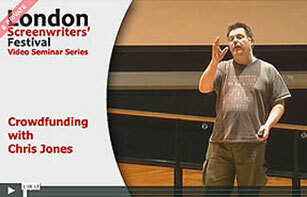 Send a 75 word synopsis of your personal adventure making your film. Send a longer write up about you and your work (Word doc). Send some photos of your film, as well as behind the scenes shots. If you have a video, send us a link and we will embed. And any links to your sites and social media.